Of course, we didn’t break into the Club: she was transferred to another location a thousand miles away and I eventually ended up getting fired. (But don’t feel bad for either one of us, as we are both much better off now.) Also, of course, we didn’t turn into golfers. There’s a golf course down the street from my house, and its future seems in doubt. It looks closed, and there’s rumors that a church bought the site. 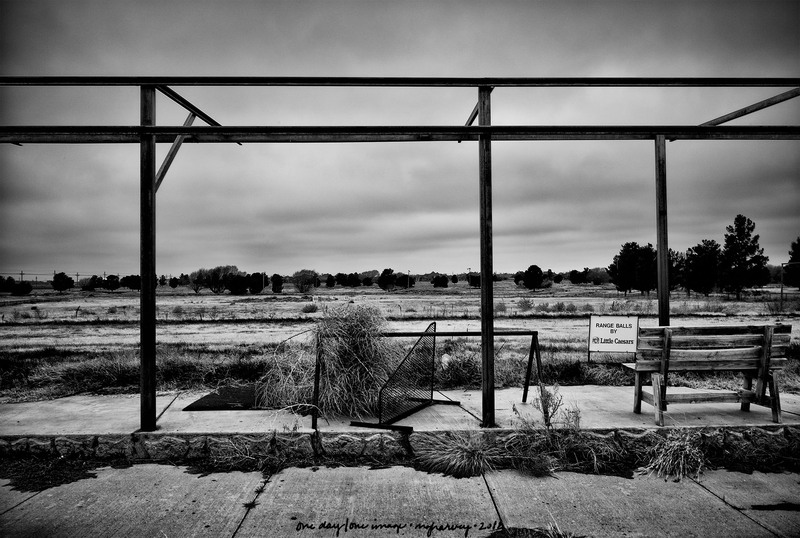 Anyway, the other day the weather forecast was for a big winter storm and I decided that shooting the abandoned-looking driving range with the backdrop of bad weather would be a good idea. The day the storm was supposed to arrive, all we had were some clouds that were barely interesting. But then, overnight, snow! These two photos were made almost exactly 24 hours apart. 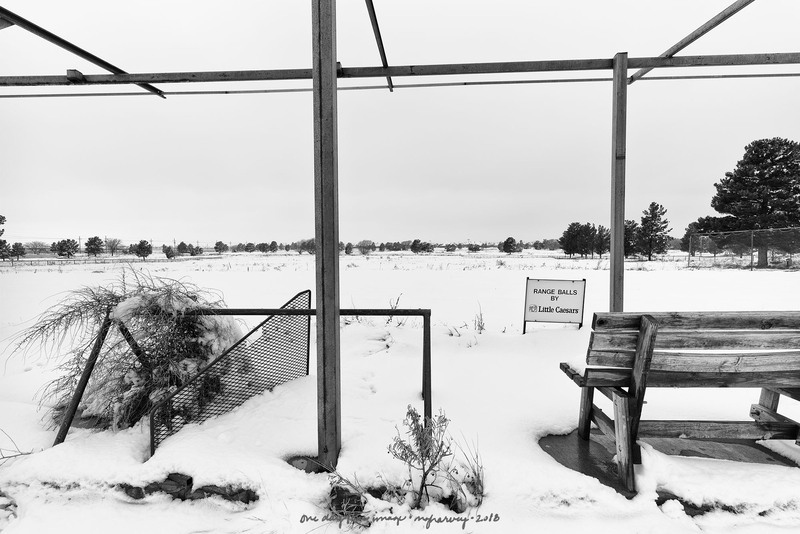 Posted on December 14, 2018, in Photography and tagged 365 photo project, black and white photography, golf course, learning to see, Leica, lubbock, lubbock texas, melinda green harvey, monochrome, one day one image, photo a day, photography, postaday, snow, texas, thoughtful seeing, winter storm. Bookmark the permalink. 2 Comments.